Motivation, inspiration and determination are the focus of Katherine Blanc�s new book, The Boy Who Conquered Everest. The book chronicles the story of Jordan Romero, who decided when he was nine years old that he wanted to climb the tallest mountain on each of the continents, collectively known as the Seven Summits. Now, at 14, he�s scaled six of them � the most recent being Mt. Everest. Blanc, who has followed Jordan�s story from the beginning, wants to share it with the world. She focuses heavily on Jordan�s inspirational message, �Find your own Everest.� Blanc was determined to share Jordan�s story with others so that they too could be motivated to set and reach challenging personal goals. The book even contains inspirational messages and tips on goal-setting from the young adventurer. The Boy Who Conquered Everest is compiled much like a scrapbook, a style that allows readers to go on a visual journey through Jordan�s quest to get to the highest peak in the world. From the pictures of Team Jordan training and prepping base camps to finally standing at the summit of Mt. Everest, readers will feel as though they�re part of the special journey. To complete the Seven Summits challenge, Team Jordan plans to conquer Antarctica�s Mt. Vinson Massif this winter. For more information, visit www.jordanromero.com. Ladybugs & Lullabies has become a household name in Hollywood since setting the trend in the world of girl�s hair accessories with celebrity moms including Jennifer Garner, Jessica Alba, Brooke Shields and Marcia Cross snatching up the adorable accessories for their little girls. But girls aren�t the only ones who want to have fun, boys do, too, and Ladybugs & Lullabies acknowledges that with their ultra cool and edgy Cool Cuffs line. Cool Cuffs from Ladybugs & Lullabies are the first accessories of their kind for little boys. These luxurious, thick cotton cuffs are made from 100% soft cotton with high quality woven ribbons featuring intricate detailing and a rugged look. No satin or frills for these boys, that�s for girls. They also feature a snap closure to keep the cuff in place, while still being easy to wear and easy to remove. 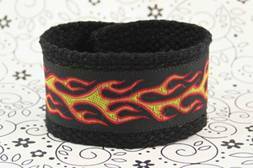 Cool Cuffs come in a variety of designs including Blue Flame, Celtic Weave, Barbed Wire, Circle Of Skulls, Ring Of Fire, Camouflage, Dragons and Spaceships. There�s something for every personality. Cool Cuffs retail for $8 each and are available for purchase in the U.S. and Canada at www.ladybugsandlullabies.ca. Whether it�s the last-minute run to the store for the glue that will hold a child�s project together or the dozens of bake-sale cupcakes whipped up late at night, parents frequently deal with the unexpected. Being prepared for emergencies�and not just the glue and cupcake variety�is the new golden rule for having a great school year and the American Red Cross, Santa Barbara County Chapter wants you and your family to be safe as we head into fall. Most back-to-school shopping lists feature items like pencils, notebooks and folders. This year, make sure you also have items for an emergency preparedness kit. At a minimum, have the basic supplies listed below. Keep supplies in an easy-to-carry container that you can use at home or take with you in case you must evacuate. Every family should create and practice an evacuation and communications plan. Each person should know how to reach other family members and where to meet if they can�t return home. You should also designate an out-of-area relative or friend as an emergency contact and make sure all household members know how to contact this person. To make an evacuation plan, choose two meeting places: one right outside your home in case of a sudden emergency, such as a fire, and another outside your neighborhood in case you cannot return home or are asked to evacuate. Decide where you would go and what route you would take if you had to evacuate. Make sure to also plan ahead for your pets. Keep a phone list of "pet friendly" motels/hotels and animal shelters that are along your evacuation routes. Learning the skills you need to respond in an emergency before help arrives is another important key to being prepared. Make sure that at least one member of your household is trained in first aid and CPR and knows how to use an automated external defibrillator (AED). To learn more and view CPR/AED and first aid demonstrations, visit www.sbredcross.org or call The American Red Cross, Santa Barbara County Chapter at (805) 687-3322. BACK TO SCHOOL SNACKS THAT KEEP KIDS HEALTHY AND TASTE GREAT AS WELL. 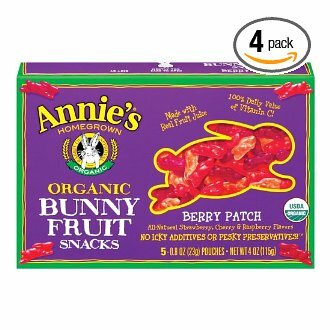 Annie organic Bunny Fruit is a favorite of kids at any age. They come in individual packages that pack ealily in lunch boxes or bags. 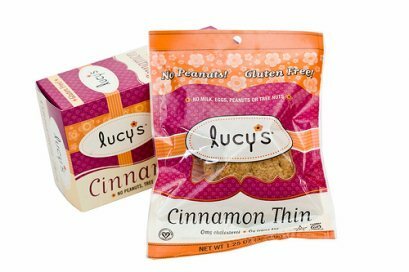 Lucy's Cookies are the best tasting cookies I have found for special diet needs kids, and adults. They come in a variety of flavors, are gluten free and allergy free, travel easily and are delicious. For location near you to buy these products or additional product information visit: www.annies.com and www.drlucy.com.